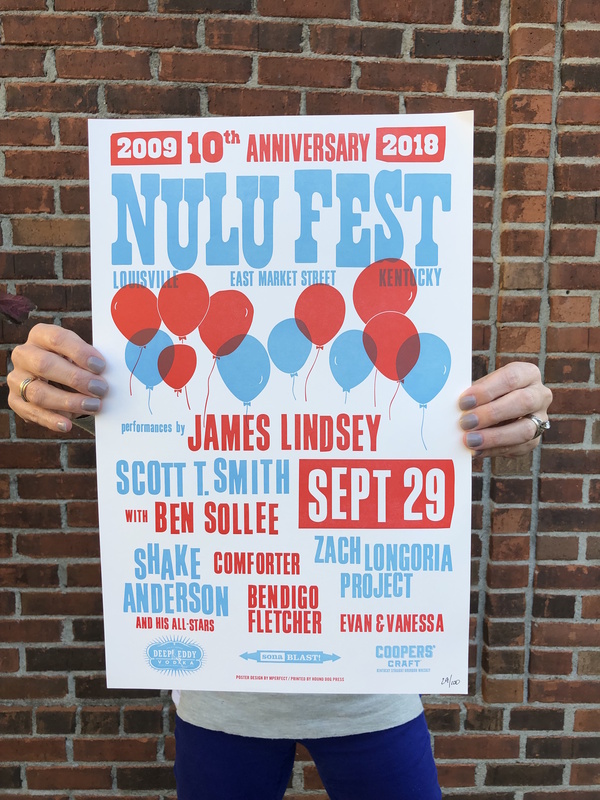 Commemorative posters for the 10th Anniversary NULU Fest with music lineup. 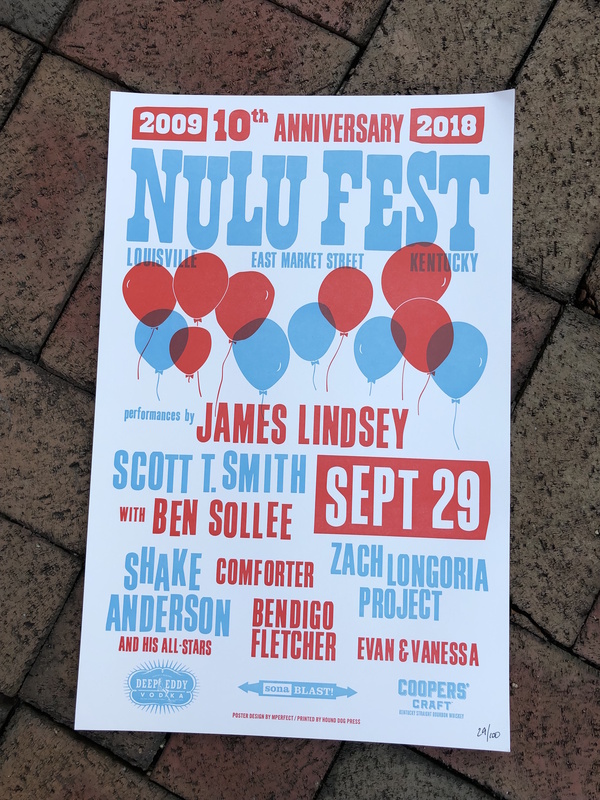 Locally designed and printed on heavy card stock. Designed by mperfect design and printed by Hound Dog Press.